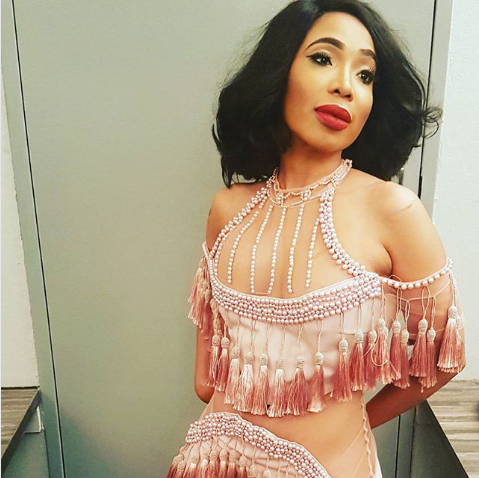 Home / Celebrity / Mshoza’s New Marriage Already Filled With Drama! Mshoza’s New Marriage Already Filled With Drama! Mshoza’s New Marriage Already Filled With Drama! It seems drama follows the singer wherever she goes. It’s been just over a week since Mshoza announced that she was a married woman and now it’s back to drama filled life. According to Sunday World, Mshoza’s new husband’s estranged wife claims that she is still legally married to him and therefore wants his new marriage annulled. The publication alleges that Thuthukani’s legal wife has instructed her lawyers to serve him with legal papers for allegedly committing bigamy when he married Mshoza without divorcing or getting permission from her to take a second wife. Mshoza is yet to comment on the drama.